Bored with your apps, looking for something new? Check out these 18 iPhone and iPad apps that were just released. 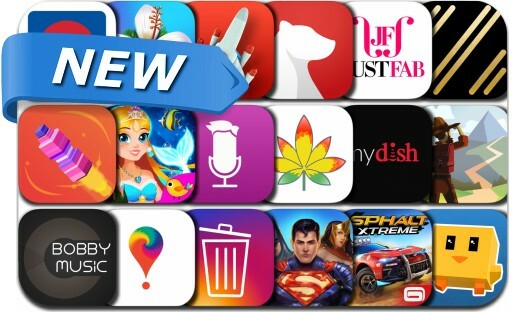 This new apps alert includes DC Legends, Keepy Ducky, The Trail - A Frontier Journey, Asphalt Xtreme, Galaga Wars, InstaClean for Instagram, MyDISH Account, Riffjam, Zendaya: The App, BobbyMusic, Metro Transit, Mermaid Party and many others.